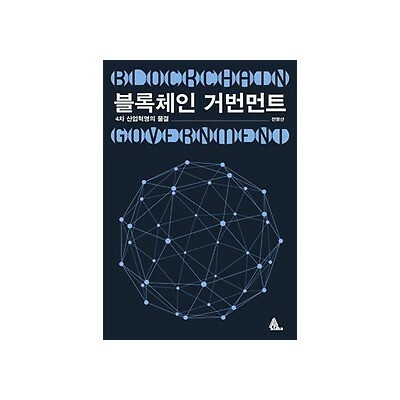 I published a book <Blockchain Government> in Korea. This is the first book on the implications and implications of blockchain technology to governments and bureaucracy. Here is the abstract of the <Blockchain Government>. Today, over than hundred blockchain projects aiming to innovate the government system are being conducted in more than thirty countries. What make the countries to jump into the blockchain projects? This is because blockchain is a technology directly related to the social organization. Unlike other technologies, there lies the consensus mechanism in the core of blockchain. Traditionally consensus is not belongs to machine but to mankind, however blockchain works on consensus algorithm with human intervention. And once the consensus made, it cannot be modified or forged. Following Laurence Lessig who suggested the proposition ‘Code is law’, I suggest that blockchain makes ‘absolute law’ that cannot be violated. This characteristic of blockchain makes it possible to implement Social technology that can replace exiting social apparatus including bureaucracy. In addition there are close resemblances between blockchain and bureaucracy. First, both of them are defined by the rules and execute pre-determined rules. Second, both of them works as information processing machine of the society. Third, both of them work as trust machine of the society. So I think it is possible to replace bureaucracy with blockchain system and moreover it is unavoidable. In conclusion, I suggest 5 principles that should be adhered when we replace bureaucracy with blockchain system. 1) Introducing Blockchain statute law. 2) Transparent disclosure of data and source code, 3) Implementing autonomous executing administration 4) Building a governance system based on direct democracy. 5) Making Distributed Autonomous Government (DAG).